Death and taxes are really the only two things guaranteed in life. The IRS handles the taxes, but the dead get different attention. They may have unfinished business that needs attending and Dark Horse has just the thing to help them finish things up. The last wishes of the dead are about to be realized in a big way this August when acclaimed manga series The Kurosagi Corpse Delivery Service gets the omnibus treatment from Dark Horse Comics. Translated from the best-selling Japanese series, The Kurosagi Corpse Delivery Service: Book One Omnibus collects the first two volumes of Eiji Otsuka and Housui Yamazaki’s acclaimed story following five recently graduated university students that specialize in the deceased—and your body is their business. The quintet uses their special skills of channeling, dowsing, ESP and more to help the dead move on to their next reincarnations. 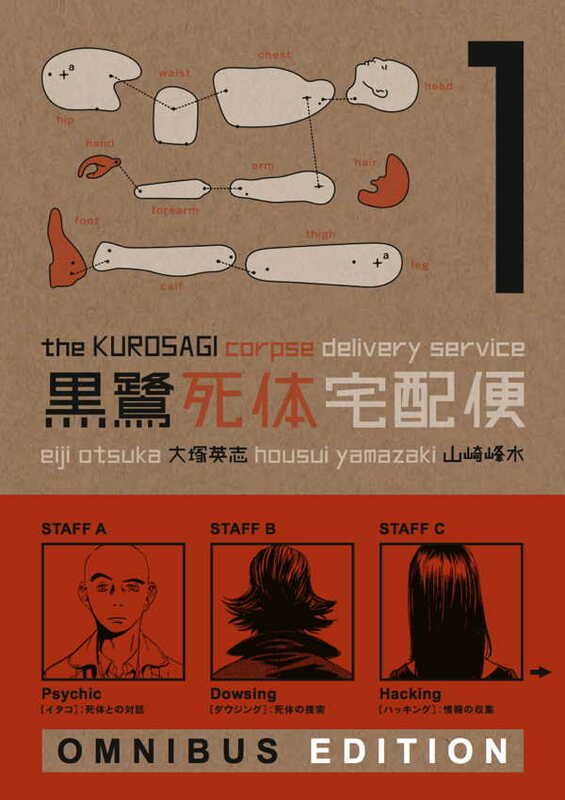 The first in a series of omnibus editions for The Kurosagi Corpse Delivery Service, this book features 640 pages for only $19.99. Each volume comes shrink-wrapped and carries an 18+ advisory. Preorder your copy now from Amazon.com, Barnes & Noble, IndieBound or contact a local comic shop through Comic Shop Locator. FOR IMMEDIATE RELEASE: MILWAUKIE, OR—The last wishes of the dead are about to be realized in a big way this August when acclaimed manga series The Kurosagi Corpse Delivery Service gets the omnibus treatment from Dark Horse Comics. Translated from the best-selling Japanese series, The Kurosagi Corpse Delivery Service: Book One Omnibuscollects the first two volumes of Eiji Otsuka and Housui Yamazaki’s acclaimed story following five recently graduated university students that specialize in the deceased—and your body is their business! The quintet uses their special skills of channeling, dowsing, ESP, and more to help the dead move on to their next reincarnations. The first in a series of omnibus editions for The Kurosagi Corpse Delivery Service, this book features 640 pages for only $19.99. Each volume comes shrink-wrapped and carries an 18+ advisory. Preorder your copy now from Amazon.com, Barnes & Noble, IndieBound, or contact a local comic shop through Comic Shop Locator.